This week I’ve taken a break from my editing tasks on my first book aside, aware that I should have some kind of plan going forward – a business and marketing plan. There’s no point going onwards without some kind of strategy in place. I found this out the hard way – with so many options, advice and information available for the writer nowadays, it confused me just where I was going, and what my objectives really were in building a writing career. But coming up with this type of plan actually turned out much harder than I anticipated. I’m a little used to writing out plans or strategies. As an I.T. manager in the past, that was pretty much my job – I created the templates and methodology those under me used, and also signed off on their plans once done. But when I came, a few years ago, to looking at planning out a creative career (in my earlier case, it was for a craft hobby, not writing) I came across the fact that for creative personalities there was no easy template system for those wanting to strategize. And of course, there was the whole “creative mindset” thing to work around – the belief that somehow trying to put some structure around a creative entity (person or activity) would stifle – even kill the creativity. The business plan is a prop. It comes complete with costume: the three-piece suit and smile. So dressed you take the stage and by projector light audition for a role in The Next Big Thing (A Venture Capitalist Production by Silicon Valley Pictures). (Which brings up all kinds of notions about starving artists being true to kind, doesn’t it?). The post linked to above isn’t all that bad. It goes on to explore the idea that we can experiment first, document later. I personally don’t see why such experiments in marketing or customer focus can’t be included in an overall plan upfront, however. It’s my belief that a plan is always a work in progress, just like our writing. The next plan or version of it will be even stronger, template, or otherwise. Warning – both books take the planner away from spread-sheets and documents, and into the realms of constructed journals, crafty flip books, lots of images, storyboarding, visual cues and the like. Turning up to your bank manager or accountant with such plans may need further explanation. Both books offer worksheets or inspiration towards areas of your business that you perhaps wouldn’t have naturally thought about upfront, however. This includes budgets, marketing and promotion, finding your perfect market/customer and having an overall vision for yourself. I’ve had both books on my bookshelf for years now. 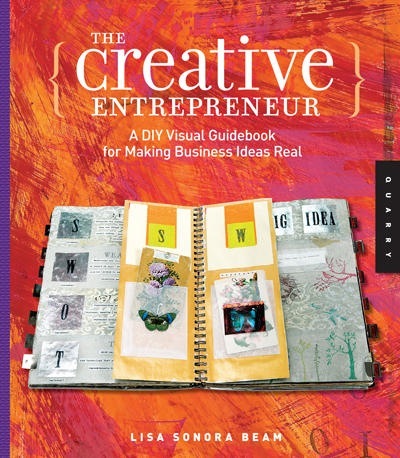 For the crafty visual thinker, I do suggest you have a look inside them at least. For those who are into writing on plain white documents, getting it written is key – a plan isn’t a plan if it’s still in our heads. Written (handwritten, drawn, pasted magazine clippings, whatever) documents are what keeps me honest. So, as a possible Indie Writer, I started writing up my own business / marketing plan for how I want to tackle my debut book, and approach in general through social media etc. I also wanted to include my own ambitions towards the traditional publishing routes. My problem is that there are so many writer’s services, companies, websites, review sites, widgets, social networks etc to sort through. Writing up such a plan is taking time as I move through all of these, taking a look at what other authors are doing or trying out etc. This is an individual thing, of course – there is basically no template out there to create such a plan unless you pay for it. And it’s a moving target – there’s probably no such thing as a 10 year plan for writers – even publishers – anymore. It’s more likely that a six-month to one-two year plan will reasonably work, aiming towards an overall 5 year high level vision. As an author-entrepreneur, you are an investor in your writing business. Build a business plan – not a to do list – that takes a comprehensive look at what you write and plan to write, who you write for, your competition, your strategy for differentiation, how you will leverage technology, how you will earn a return on investment. If appropriate, read a book about business planning to understand the components involved. Make sure you take a long-term point of view. Translate your business plan into monthly or quarterly objectives; track your progress. 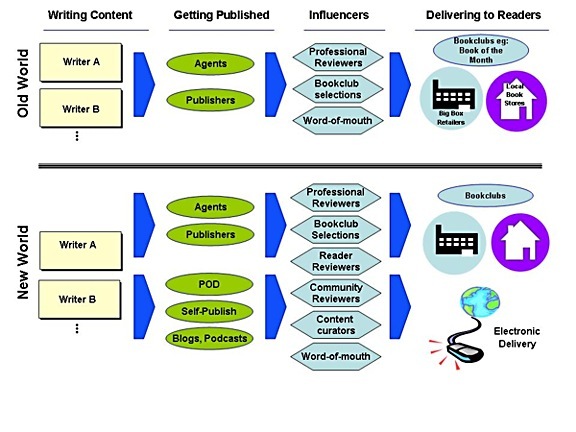 The same post featured a diagram provided by Tod, featuring the changing industry of book publishing options for the writer. I’ve taken the liberty of using it here, although haven’t sought permission because Tod’s blog One Writer’s Voice has recently been put on hiatus. If you seek her out on A Writer of History, you will find that the sabbatical decision – as a plan, was to allow for more time for her writing, away from the ever growing landscape of social media. Another issue lies around terminology and objectives. Many of the below links call a writer’s book “the product” but Jen Talty on Bob Mayer’s blog has just posted suggesting that on the topic of discoverability, our product is not the book – it’s the story. However, the business plan, marketing strategy, or career strategy I am writing definitely does have a product – me! It’s my career, my budget, my choice in how I get the stories (wrapped up in books, blog posts, novellas, short fiction, freebie samples etc) out there. I have naturally found that whenever I start contemplating making plans, that the world is full of movement and new advice for the times. That’s why a business plan always has to be flexible and “in progress”. For writing a writer’s business plan, here they are – some of the best (free) advice I can find are listed in the links below. Poewar – Business Plans for Writers, by J.C. Hewitt in 2010. About Freelance Writing – Write Your own Reality – Business Plans for Writers by Devon Ellington. Writers Write. 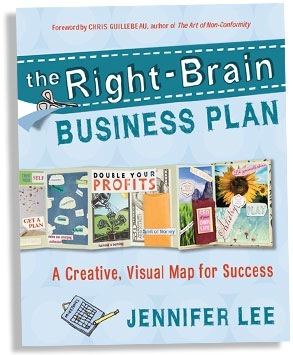 Successful authors write a business plan by Deborah Riley-Magnus (2009). The Writer’s Plan – Carmen Wright created this website, and whilst the templates available are from 2009, the guides towards high end vision, and nailing down audiences are still relevant. These below are more inline with the later-day movements in social media, platform choices etc – many of which need to be considered by new writers considering the traditional publishing route also – because many traditional publishers now insist on seeing a growing author’s platform before considering submissions. Routines for Writers – Writer’s Business Plan Defined by Shonna Slayton – this January 2011 article talks about branding as in author branding, vision and tags etc – with links to some good posts on these topics. It is the first of a two (can’t find the promised third) series, so follow through for action plans. The Book Designer – Joel Friedlander – one of my favourite go-to blogs for Indies, posted Do Writers really need a book business plan? in December 2011. Writers Road Trip – a 3 part series – Part Two: Creating a Roadmap (Sept 2011), Planning for the Indie Future: Creating a Business Plan (Oct 2011) by Saul Tanpepper. Pitch University – Creating a Business Plan for Indie Writing by Suzan Harden– (Aug 2011). This is a seven part series of posts, dealing with everything from high-levels to tips on dealing with cover artists. I’ve linked to the first post of the series. * Note – the last post at Pitch University includes a coupon code to pick up the series in ebook from Smashwords. The ebook contains new information – In April 2012, Harden posted to her own blog to suggest she had updated the business plan due to changes in the industry, and the ebook sits at Version 2.0. Incorporated into any business plan should be strategies for building platform (the communications route to our readers), and marketing / promotional strategies to sustain our business, and experiment with sales of our stories. This post has provided as much free advice as I can find, but there are plenty of people and websites out there providing paid-for advice also, from ebooks at various quality and price ranges, to real-life or web-based courses, webinars and subscription memberships. Some, I will possibly be trying out myself, and therefore will include in my own business plans. It’s beyond the scope of this post to try to provide links for marketing plans, but the following weekly template is a nice looking one, available free to download from Pagemaster. Click on the image for the link. The above articles deal with high-end subjects such as vision statements, goals, the unique selling point (what makes my product so special), and include some suggestions about promotion and marketing. But to keep abreast of the constant movement – and opportunities – and to keep my own plans up to date, I will need to keep one open eye on the evolving indie and book industry. For that information I need to go to several books, blogs and websites who are building businesses or followers providing such ideas. 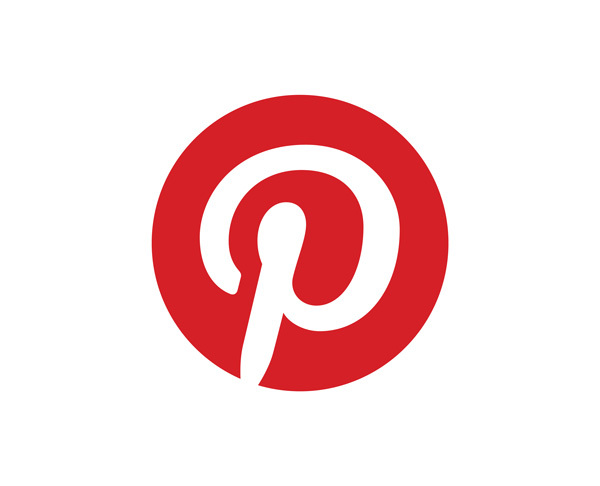 I’ve tried to include the hottest and best advice and sites I can find to help me out in a new PINterest board titled ‘Indie Writers’. Much of that advice is slowly making it’s way onto my own decidedly non-visual word document business and marketing plan – or plans, as there are several supporting documents also. I hope some of the above links can help you out also. And if you have some other favourites for the publishing and writing industry nowadays – not just Indies – please add them in comments or email me, and I will add to my PINterest board as a reference also. In an upcoming post here, I plan to show you all the subjects, headings and areas I incorporated in my own plan template – not my actual plans, just the thought that is going into them. I wish you luck in your own planning, as creative or documented as it may or may not be. Hi Hunter! Thanks for the kinds words and the plug. As I told my blog readers in May (http://wildwickedwacky.blogspot.com/2013/05/status-update-may-2013.html), I have taken Creating a Business Plan for the Indie Writer off the market. It had already become outdated in less than a year (yes, things are changing that fast! ), and with a 1200-mile family move this summer, I haven’t a chance to update it. The underlying concepts from the Pitch University posts can still help someone create their own business plan.